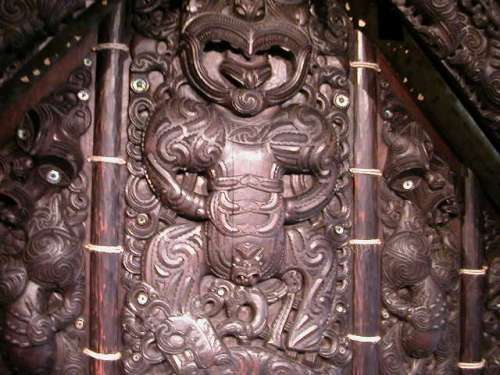 A wood carving at the entrance of a Maori village in New Zealand. Beautiful carving at the entrance. Thanks for sharing the art work.